For the last few years Mike and I have heard from friends that we needed to visit Slovenia! We have had it on our list for a while and when we were looking at our summer plans we knew we needed to fit it into our Europe road trip! There are so many beautiful regions in Slovenia and we had a hard time choosing which part of the country to visit. When we learned about the Soca Valley we saw that this area had incredible waterfalls, beautiful emerald green water, and some amazing gorges. Mike and I love waterfall hikes so we thought this would be a great place to spend a week! We rented a vehicle in Bologna, Italy from Auto Europe which was by far the most affordable car rental site for Europe that we could find! You can book a rental from Auto Europe Car Hire here. We drove from Bologna to Kobarid, Slovenia where we stayed for a week exploring the beautiful outdoors. The weather was perfect during the month of June and there were many activities to choose from. Here are a few highlights from our trip to Sôca Valley! The Gorge is one of most popular sites to see in Sôca Valley. The Gorge is located on the south side of Triglav National Park. It's very easy to get to and such a beautiful place! We loved how well mapped out the gorge was and how easy it was to get around. The bridges are amazing and the gorge itself was breathtaking. We still can't get over how emerald green the water was! Absolutely beautiful! This waterfall was the first hike that we did when we got to Slovenia! Wow, it's a beauty! The entire hike we were in awe with the water and the beautiful green moss that covered all of the rock. 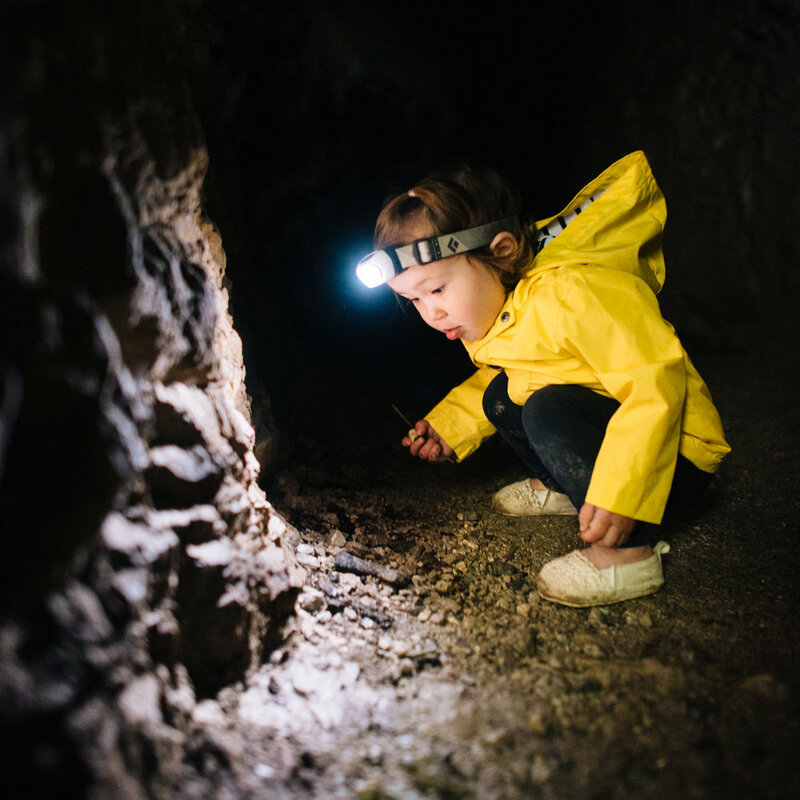 The hike itself is only about 30 minutes one way and completely accessible for families with young children. We just wish that we had gotten there a bit earlier because we ran out of daylight near the end! We loved it and will recommend this waterfall as a number 1 must see for anyone who comes to Sôca Valley! Another beautiful waterfall in Sôca Valley! This one is a quick 20 minute uphill hike from the parking lot. If Mike and I were hiking on our own we would have continued the hike upwards another 20 minutes to a view that is a bit closer, however, this platform was fantastic for us. 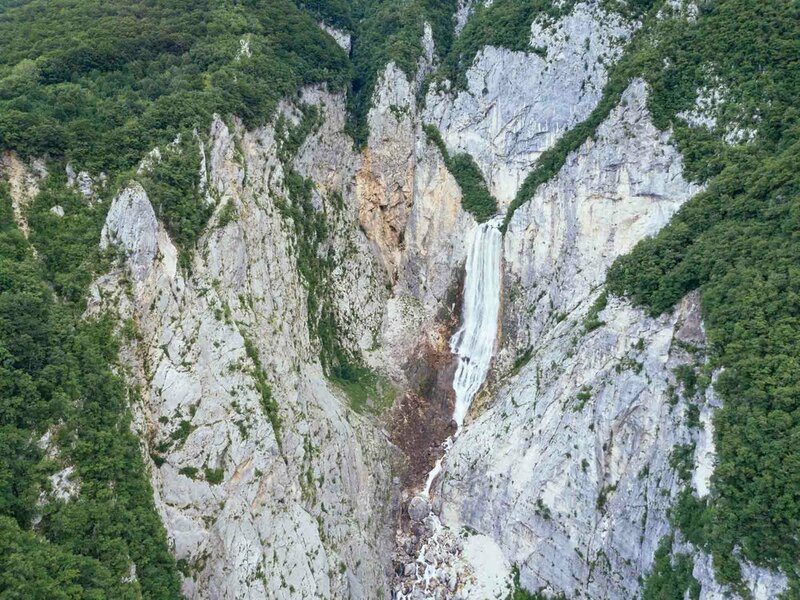 This waterfall is one of the tallest waterfalls in Slovenia! Kolvorat is an open air museum in the Sôca Valley. It is located high on a ridge right at the border of Slovenia and Italy. During the First World War the Italian Army built a front here as a part of the third line of defence. 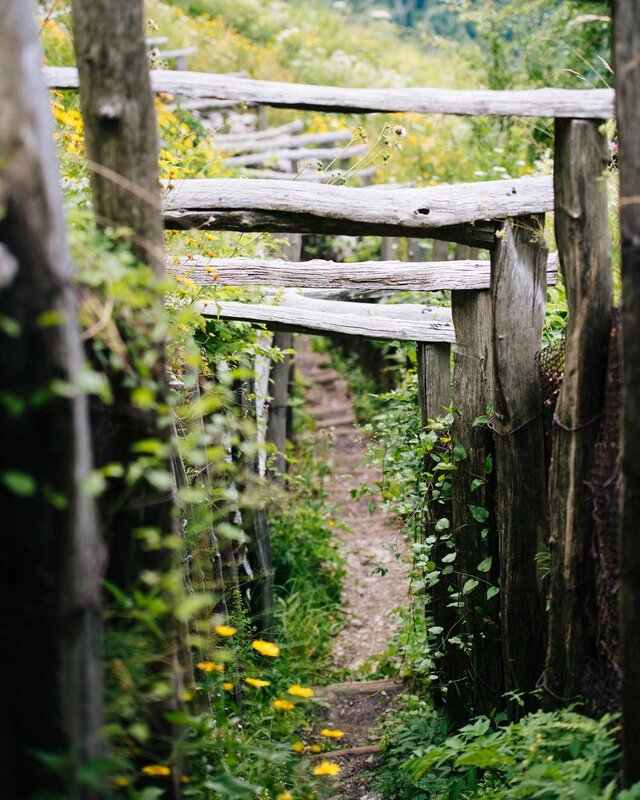 At the museum there is a network of trenches and defence posts that you are able to walk around and explore. It is a remarkable place. The views from here of the towns below are also incredible. In Soca Valley Kolovrat is located between the towns of Tolmin and Kobarid. It is definetaly worth the drive up the mountain for the history and these spectacular views! Mike had the opportunity to go rafting on our last day here! He totally loved it! Who wouldn't right? He went with a great guide and got to know the others in his group really well. We can't wait to come back here when we have some older kids so we can do it as a family! So fun!